Moving from hardware to new material releases, South Dakota-based 3D printing manufacturer B9Creations has introduced a new high-detail design resin, the HD Slate. Geared towards molding and model making, the resin is optimized for surface finish and creating detailed parts, with 20 μm slice thickness. colorFabb, the Netherlands-based 3D printing materials company, has launched LW-PLA, a filament that uses an active foaming technology in order to create lightweight, low-density PLA parts. The material begins to foam when reaching temperatures of around 230°C, thus expanding up to three times its original size when 3D printed. This helps users to decrease material flow by 65% to achieve light weight parts. Part produced with lightweight PLA using active foaming technology. Photo via colorFabb. Montreal-headquartered plasma torch specialist and metal powder producer PyroGenesis has manufactured titanium powder using its new NexGen Plasma Atomization System, which it unveiled in March 2019 as an upgrade to the original Plasma Atomization Process (PAP). The company revealed it has produced the titanium powder at a rate over 25kg/h with its new NexGen process, whilst maintaining lower operating and capital costs, establishing a significant cost per kilogram saving. Milano Design Week 2019 , which was held from the 8th to the 14th April, has drawn to a close, and featured various art projects that were visualized with the help of 3D printing from Italian 3D printer manufacturer WASP. Of note amongst the various collaborations that WASP took part in, was the Conifera; an architectural installation made of seven hundred 3D printed bioplastic modules, produced with the Delta WASP 3MT INDUSTRIAL. The Conifera is a collaboration between COS, a London-based contemporary fashion brand, and French architect Arthur Mamou-Mani. 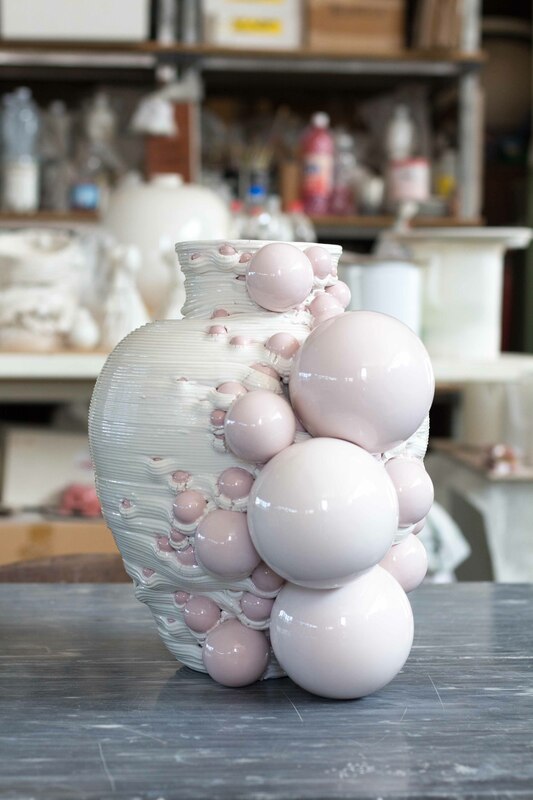 Also showcased at Milano Design Week were the 3D printed ikebana vases created by Italian artist Andrea Salvatori, which were produced using the Delta WASP 40100 Clay 3D printer. A 3D printed ikebana vases. Photo via WASP. 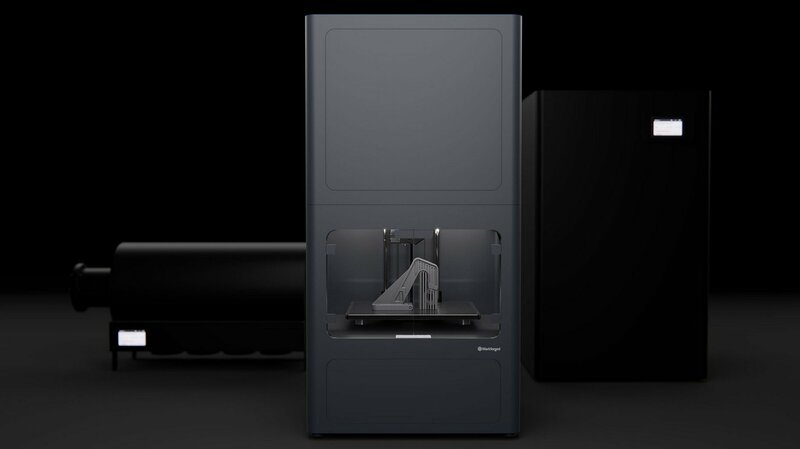 Boston-based and multi-award winning 3D printer manufacturer Markforged has announced the Metal X Roadshow, which will host over 60 open house events around the world. The events are designed to “equip manufacturers with the insight and expertise needed to join the next industrial revolution,” and will include sessions and demonstrations about additive manufacturing processes. Attendees will be able to get a look at the Metal X system from Markforged, and will learn the benefits of rapid metal 3D printing. You can find out the where nearest Metal X open house events are here. The UK’s Manufacturing Technologies Association (MTA) is hosting the first of its open access Technical Days, a half-day event that aims to promote and explain the benefits additive and digital manufacturing. Hosted at the Jaguar Experience Centre in Birmingham, UK on the 22nd May 2019, the event is free to attend and will connect companies and MTA members interested in the digital and additive manufacturing industries. You can view further details of the event and book you place now. Comic book characters have been brought to life through 3D printing as part of the Angoulême International Comics Festival in France. MÉTROPOLE, a French large-format 3D printing specialist, has used a Massivit 1800 3D printer to produce five life-size statues of comic characters that have been placed at Angoulême station, dubbed as the world’s “comic book capital.” Beloved comic characters Blake and Mortimer, Spirou and Seccotine, as well as ‘Le Fauve’ – the festival’s mascot – are currently situated at the station to the delight of commuters and festival-goers alike. In other news, 3D printing recently attempted Mission Impossible, as it has been used to bypass the “ultrasonic” fingerprint scanner security lock on the Samsung Galaxy S10 smartphone. Uploaded on Imgur from a user that goes by the name of ‘darkshark’, a video shows a 3D printed fingerprintbeing used to successfully unlock the Galaxy S10. The user acquired their own fingerprint from the side of a wine glass simply by taking a picture with their smartphone, and proceeded to run it through Adobe Photoshop, and then Autodesk’s 3ds Max, to produce a detailed 3D model of the fingerprint, which was then 3D printed using an AnyCubic Photon LCD resin printer. The video highlights a security vulnerability of the new phone from Samsung, considering the ease at which the user was able to replicate their own fingerprint and fool the mobile device. The U.S. Marine Corps plans to use 3D printed impellers as a “stop-gap solution” for when the original impeller part becomes inoperable and a replacement part cannot be received in time. The 3D printed impellers will be used on the M1A1 Abrams main battle tanks, and is the result of a collaboration between Marine Corps Systems Command (MCSC), the Applied Physics Laboratory at the Johns Hopkins University, and the Defense Logistics Agency. MCSC has reported positive results after having qualified the 3D printed impeller for its performance, and so far it has not reported any wear or leakage. 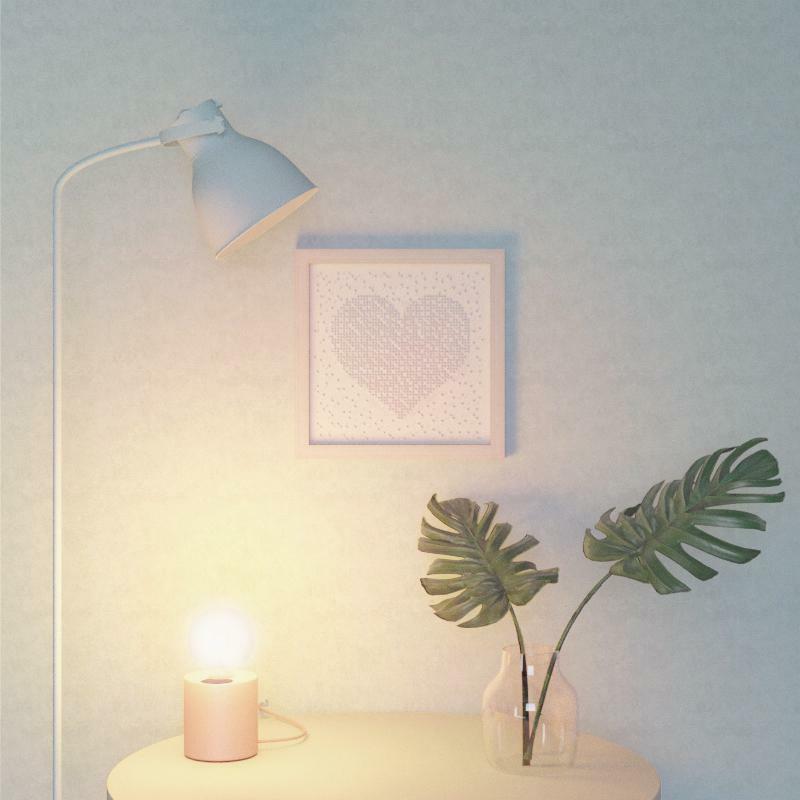 Swiss art and design studio Drzach&Suchy has used 3D printing to create what it calls a “shattie” – a framed picture that uses shadow casting panels to conceal two images, which only become visible when illuminated in a certain way. Users can create and personalize their own 3D printed “relief” on the shattie website by uploading two pictures of their choice. The 3D printed “relief” illuminated to show one of its two pictures. Photo via Drzach&Suchy. Stanley Black & Decker, an American manufacturer of industrial tools and household hardware, is continuing its investment and development of 3D printing ventures. The company has now opened a 23,000 square foot Advanced Manufacturing Centre of Excellence, called ‘Manufactory 4.0’ in Hartford, Connecticut. 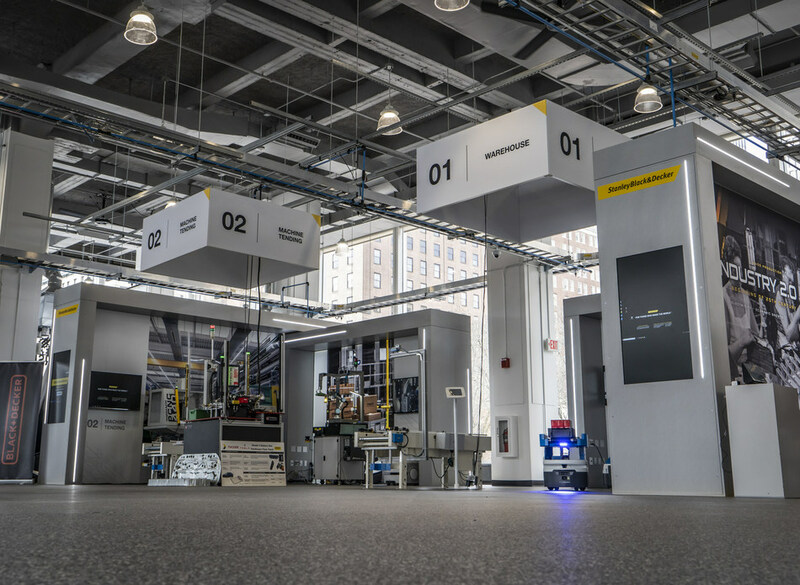 The facility will help to accelerate Stanley Black & Decker’s adoption of advanced manufacturing technologies and spearhead its Industry 4.0 initiative. 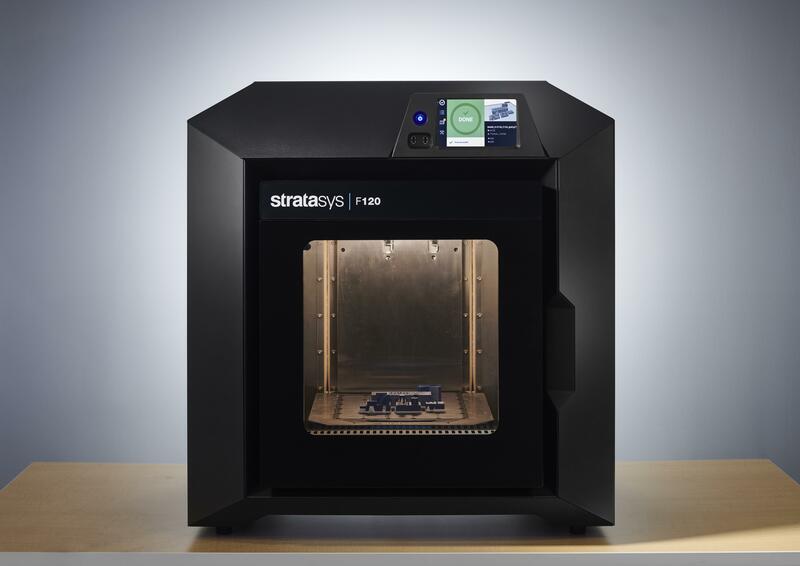 It will also be the home of the company’s STANLEY+Techstars additive manufacturing accelerator program, and comes after Stanley Black & Decker parterend with Astroprint to control and optimize its 3D printers through cloud-enabled software in March 2019. Stanley Black & Decker’s Manufactory 4.0 based in Hartford, Conn. Photo via Stanley Black & Decker. Taiwanese 3D printer manufacturer XYZprinting has revealed it will invest over one million dollars into its STEAM 3D Education Program, which aims to make 3D printing accessible to students in the classroom. The company recently launched a bundle scheme as well where a free 3D printer would be delivered alongside purchases of its K-12 STEAM curriculum, in order to encourage the educational market to make purchases in the program. The XYZprintingSTEAM 3D Education Program. Video via XYZprinting. And finally, Korean biotechnology company T&R Biofab has reportedly registered a patent for its 3D bioprinting technology to create artificial skin. The technology operates through the 3D printing of dermal (inner layers of skin) and epidermal (outer layers of skin) cells that uses a porous 3D structure to form skin with similar characteristics to actual skin. “This technology can be used effectively in a variety of areas such as assessing the efficacy and toxicity of newly developed therapeutic agents and cosmetics, and replacing animal experiments,” a company official said. Featured image shows Sliced logo edited onto image of 3D printed cartoon character from Angouleme International Comics Festival. Original image via Massivit.